Interserve said it would apply to the High Court later on Friday for the business to be put into administration. Although the firm says services will continue as normal, its failure has sparked more debate over using private outsourcers for public services. 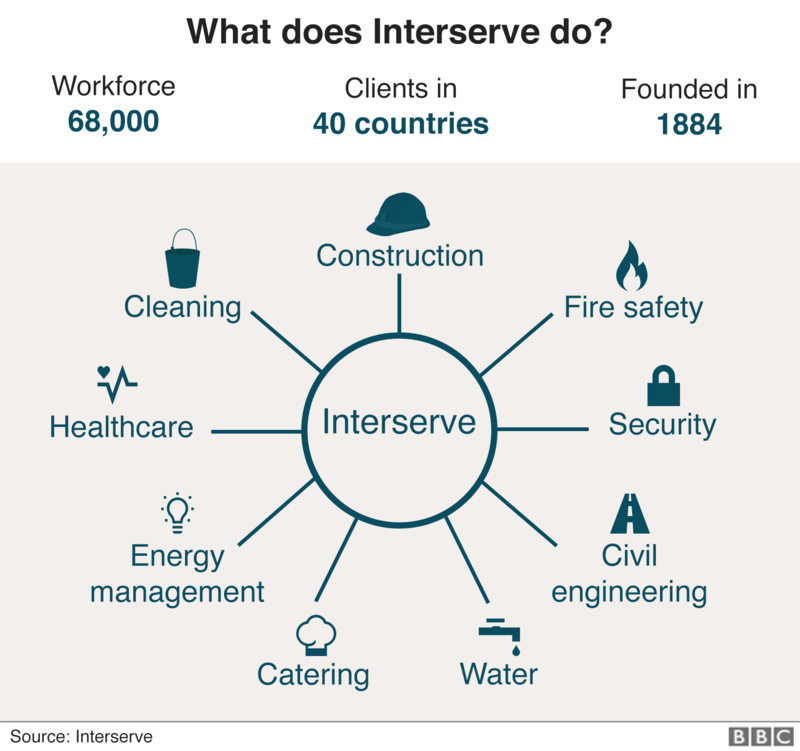 Interserve said: “The board of directors of the company is convening an urgent board meeting to consider its options.” However, the company added that “in the absence of any viable alternative” it is likely to formally apply to go into administration. Accountants EY have been lined up as administrators. EY is expected to carry out a so-called pre-pack administration, an insolvency procedure under which a company arranges to sell its assets to a buyer before administrators are appointed. This means Interserve can avoid a Carillion-style collapse. Interserve’s lenders including banks RBS and HSBC, and investors Emerald Asset Management and Davidson Kempner Capital, are expected to take control once the process is complete. Existing shareholders will see the value of their investments wiped out. 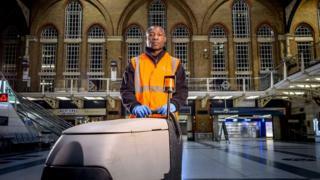 The GMB union said Interserve’s problems, which come after the failure of Carillion last year, showed it was “time to turn the tide on the disastrous experiment” of outsourcing public services. Kevin Brandstatter, the union’s national officer, said: “Ministers have learnt absolutely nothing from the Carillion fiasco and are hell-bent on outsourcing public sector contracts. Although Interserve’s contracts are expected to continue, there is still concern for jobs in the supply chain. The National Federation of Builders (NFB) said there would be thousands of workers wondering whether they still have a job, and called for changes in the way the government hands out contracts to big national companies. Richard Beresford, chief executive of the NFB, said it was time to reform “the procurement process from its foundations to ensure that more regional contractors can compete and win work”. In addition to helping smaller companies, it would “spread risk across fiscally responsible businesses who reinvest profits and are not bound by shareholders,” he said. The Cabinet Office insisted that Friday’s news would not affect jobs or the provision of public services. “We are in close contact with the company and we are confident a positive way forward will be found,” the office said in a Tweet. 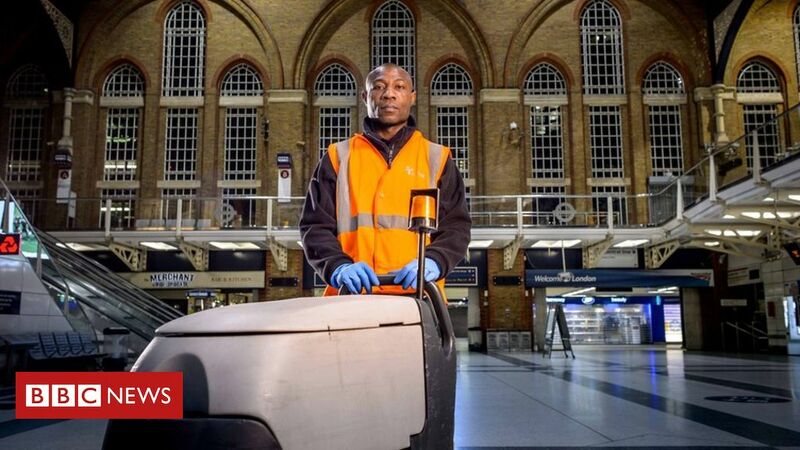 Interserve is the largest provider of probation services in England and Wales, supervising about 40,000 “medium-low risk offenders” for the Ministry of Justice. Its infrastructure projects include improving the M5’s Junction 6 near Worcester, refurbishing the Rotherham Interchange bus station in Yorkshire, and upgrading sewers and water pipes for Northumbrian Water. Hospital contracts include a a £35m contract at King George Hospital in east London for cleaning, security, meals, waste management and maintenance.